Jaipur : Jaipur witnessed intense action as 2 teams from leading schools of Jaipur competed against each other for the coveted title of Jaipur Super League Season 1 – Cricket Edition Champion. 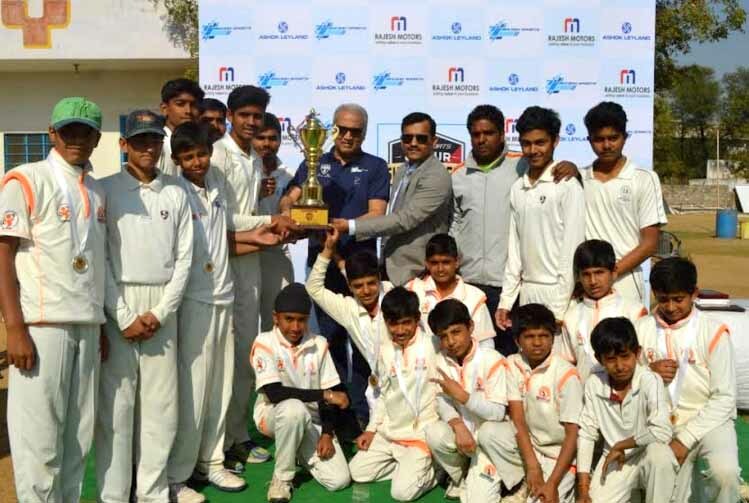 The finale of the cricket edition of Jaipur Super League, a KOOH Sports initiative powered by Rajesh Motors and Ashok Leyland took place at Sanskar School Grounds, Sirsi Road, Jaipur. The league witnessed massive response with participation from 12 school teams! On 23rd January after playing more than 20 grueling matches, Boy’s teams fromDelhi Public School and Sanskar Schoolentered the finale to fight for the coveted Champions Trophy.